"Epidemiology for Health" (EpiHealth) är ett strategiskt forskningsområde vid Lunds universitet i samarbete med Uppsala universitet. Verksamheten startade i början av 2010. Det finns en styrelse och en styrgrupp. Målet är att befrämja nationell och internationell excellens inom epidemiologisk forskning, bl.a. 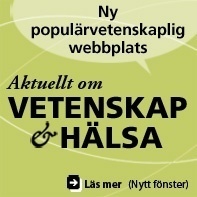 avseende basal epidemiologi (gen-miljö interaktioner), infrastrukturer (register, biobanker), samt klinisk epidemiologi (kvalitet i vården, patientdataregister, hälsoekonomi). EpiHealth vill organisera forskarkurser samt skapa en katalog för olika epidemiologiska projekt vid de två universiteten. The strategic research area EpiHealth - Epidemiology for Health - together with LUPOP - Lund University Population Research Platform - now opens a call for proposals for new PhD - courses of relevance for population research. We will fund 3 - 5 courses during 2018 related to e.g. epidemiological data analysis, medical statistics, biobank studies, bioinformatics or related to register-based research in general. You find more information about this call and how to apply on https://www.lupop.lu.se/lupop-for-researchers/courses/calls-for-proposals. Deadline for submission is 15 March 2018. 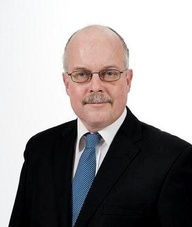 (Jonas Björk is coordinator). Previous this symposium, on Nov 16th at 10:00, there will be a guided visit to Region Skåne Biobank BD47 (max for 20 people). Please register for both events. Although the event is free of charge it is important to register for dietary restrictions and organizational purposes. When: November 16-17 noon to noon. 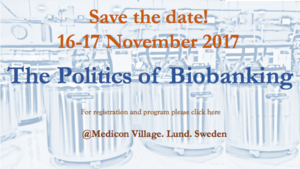 Registration: https://eopaino.wixsite.com/politicsbiobanking Deadline for registration is 31st October. Methodological challenges in epidemiologic research. The topics will be more oriented towards methodological challenges in (mainly) epidemiologic studies, rather than the methods as such. Date & Time: March 6, April 3, May 8, June 5, 2019 - The seminar series will be run as breakfast seminars at 9.00-10.00– coffee and sandwich will be served. I samband med årsmötet arrangeras ett seminarium med tema ”Hur mäter vi co-morbiditet?”. Jonas Ludvigsson kommer att leda seminariet som tar upp bl.a. hur man bäst tar hänsyn till comorbiditet, olika comorbidity index, confounder vs intermediate faktor, sjukdomsspecifika comorbiditetsmått, comorbiditet i svenska kvalitetsregister och om det finns behov av ett svenskt comorbiditets-mått. Plats: Jubileumsaulan, MFC, SUS, Malmö. Applied Epidemiology III ‒ Quasi-experimental designs for impact evaluation in epidemiology and public health: theory and practice? Place: Lund - Lecture room will be announced to the students before course start.